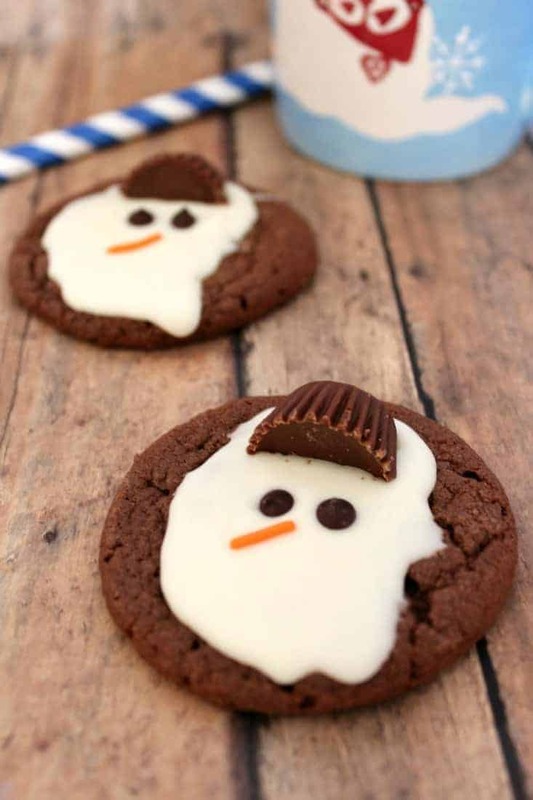 These Melted Snowman Cookies are SO simple to make and look great sitting on the dessert table! 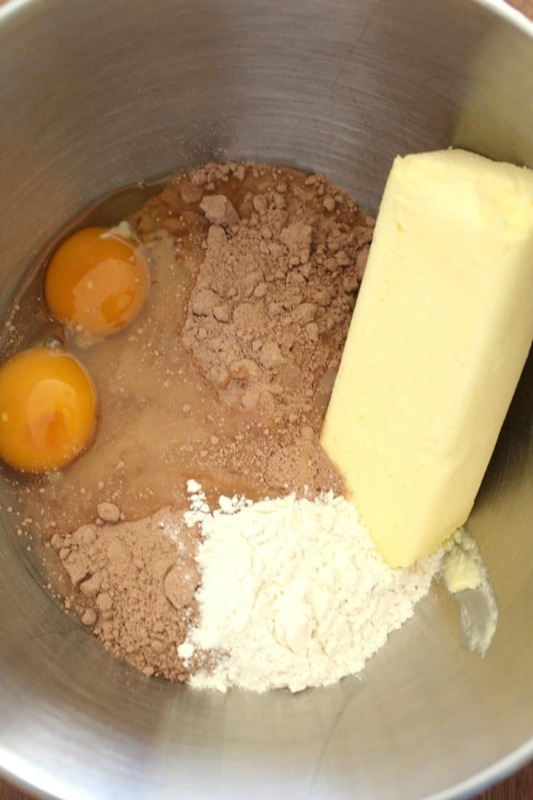 In a large bowl, combine cake mix, butter, eggs, flour, and extract or peppermint essential oil. 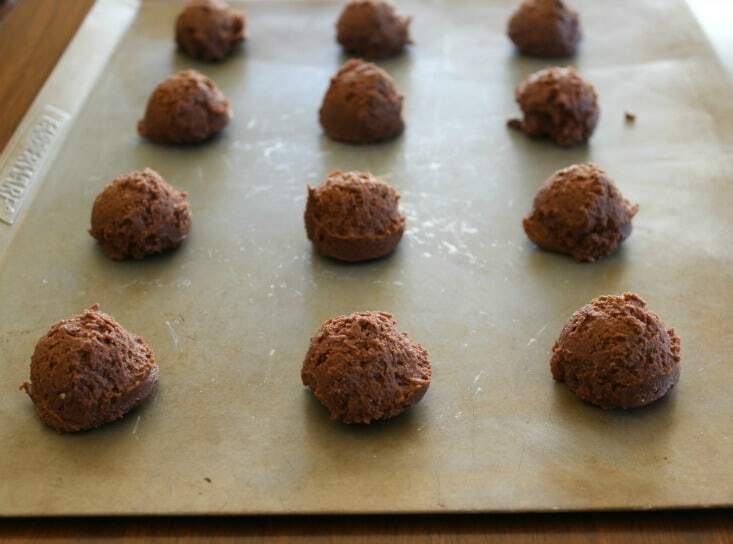 Let cool on the sheet for 5 to 10 minutes. 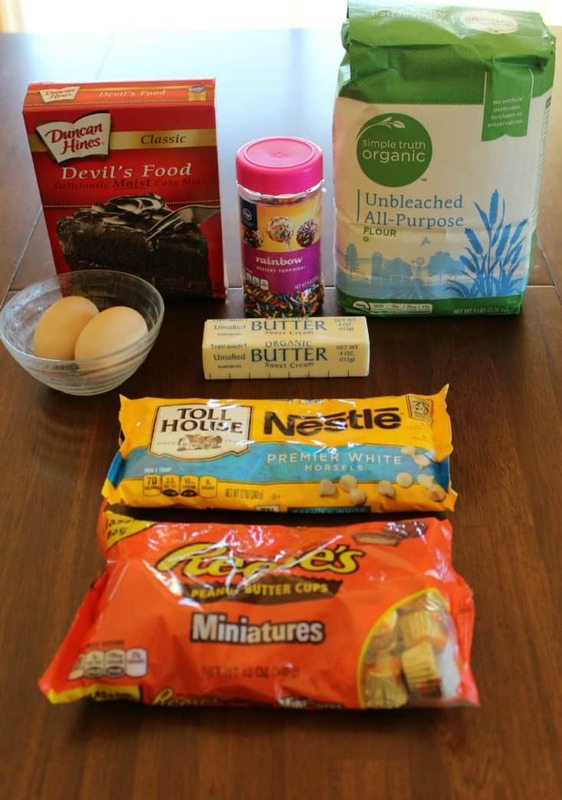 Once the cookies are cool, melt white chocolate chips. 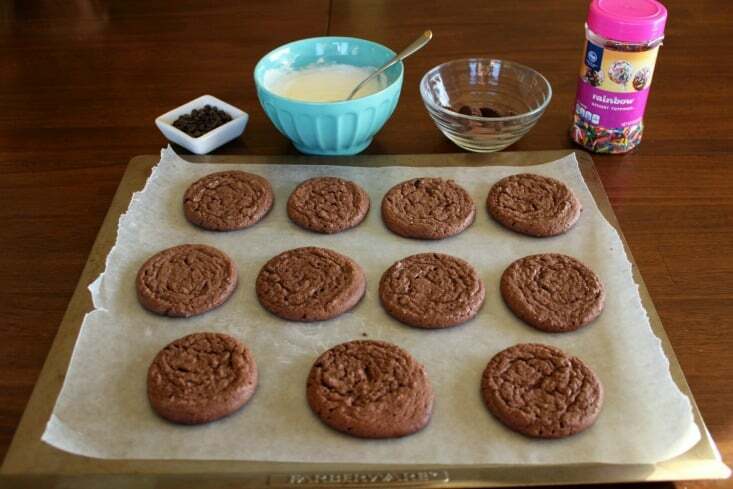 Drizzle a spoonful over each cookie to form the melted snow. 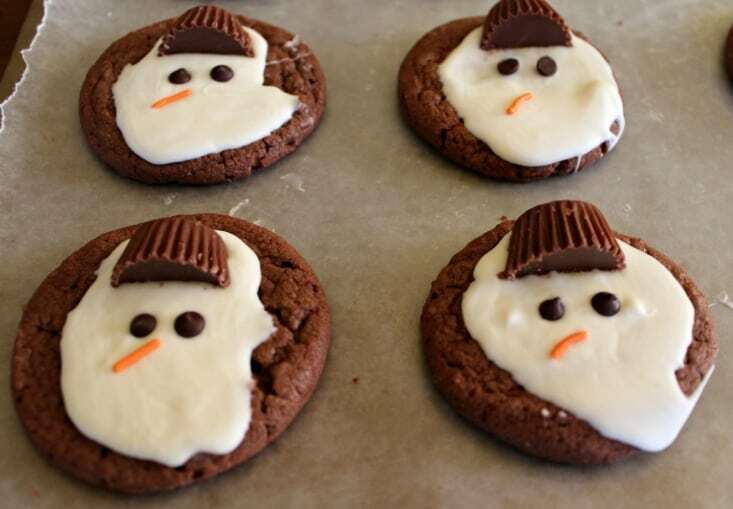 Add a peanut butter cup half for the hat, and decorate the faces with chocolate chips and sprinkles. 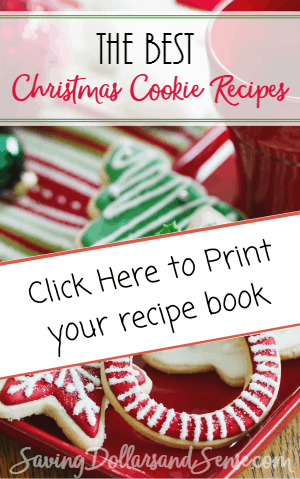 Make sure that you grab the FREE Christmas Cookie Recipe Book that we are offering for the holidays.